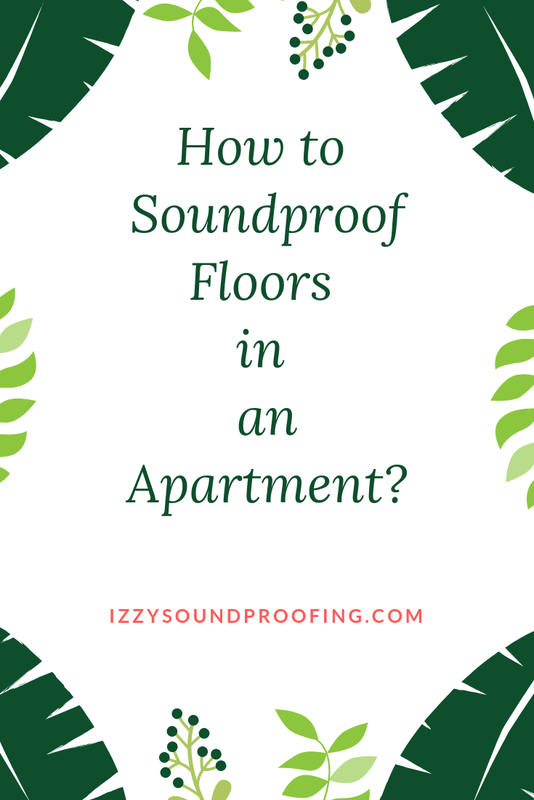 How to Soundproof Floors in an Apartment Effectively? If you are born and brought up in an apartment environment, then it will be difficult for you to understand the importance of living in a silent place. Trust me, I am not blabbering. I was born in a lower middle class in a small village. I did my early education in a village, and later I moved to a metro city. I can very well compare both the environment. Most of the people who migrate from a small village or town to metro city don't have much option when it comes to finding shelter. Mostly, these people will share a room in an apartment. For me, an apartment is by far the noisiest place to live in. Unfortunately, you will find unwanted noise attacking you from all the direction. I am not kidding. Some of the common noise that you will have to bear on an everyday basis are kids crying, loud music, pets noise, couple fighting and many more. You know what...you don't have any option but to learn to survive. It is a very common human behavior that we always blame others for any kind of problem. "Expect the unexpected, and you will have a happy life"
When I moved to the metro, I was the one who always used to disturb others though NOT intentionally. During my student days, I was a very active individual, and I used to dance, sing, and participate in many other outdoor activities. In fact, what was a source of happiness for me was a troublesome scenario for my neighbors. I totally agree my neighbors were right because no one has given me the right to create trouble for others. After getting some scolding from my neighbor, I decided to soundproof my room. Though I don't have the budget for soundproofing still I went with the flow. That time I wasn't a soundproof consultant, so I had to interact with a few consultants to know the budget, and then I had to take the final call. For me, the biggest problem was the family residing right below my apartment. So, I was forced to take a hard decision of starting soundproofing from the floor only. The floors are the passage that enhances the movement of sound to the neighbors. I hope you will be aware of the fact that low-frequency noise such as bass has the capability to travel through the solid medium. I forget to mention that I was at a receiving end from the neighbor staying just below my apartment. Soundproofing floor helps absorbs vibrations that are created by one's daily activities. Well, this article will talk about the step by step process of soundproofing your floor. I will not deny the fact that a lot can be done when it comes to soundproofing a room, and the same holds true for the floor as well. While we will take you through the various step, our intention will be to introduce the correct products that can help you achieve fastly. At times, selecting a wrong product can put all the efforts into vain. First and foremost thing that I wanna discuss with you guys even before starting is that you should abide by the law. If you are a tenant and living in an area that has strict apartment modification rules, then it's always advisable to inform the apartment owners to be on the safer side. On the other hand, if you own the apartment, then also it good to consult the concerned person even before starting the soundproofing work. 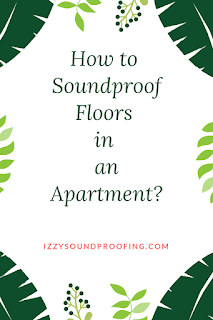 The reason why am I saying this is because I work as a soundproof consultant and, has faced quite a few scenarios where things became complicated after we started the modification of the apartment. Some of my clients were tenants and rest were the house owners. You may have a question, "I am modifying my apartment, why will it be a problem for someone else?". Well, in the tier-1 cities and metros, there are strict rules, and all of us have to abide by it. Even though you are carrying out modification work in your apartment, by no means, it should disturb others. Keep in mind that you aren't violating the lease agreement. Don't take it wrong, it's not that I am a soundproof consultant, so I am putting asking you to hire a soundproofing professional. In fact, soundproofing is a bit technical and requires experience as well as expertise. Being honest, it always good to spend a few bucks on the professionals rather than wasting money on experiments. However, if you are the one who loves experimenting, and has a passion to learn to soundproof, then do-it-yourself is perfect for you. On the other hand, if you are someone who has a busy schedule or a hectic 9-to-5 job, then it is highly recommended to assign the task to a good soundproofing consultant. By doing so, you will excuse yourself from the responsibility of buying the soundproofing materials, and all the risk of permanent damage to the decor of the apartment. Again I would like to remind you that taking the landlord into consideration before going for soundproofing a room is very important because, in most of the cases, the professional works are a permanent alteration. Taking a decision on which way you wanna go - DIY or Professional will decide the further steps. In the latter case, you simply have to sign the check and wait for the magic to happen. Well, if you are tight on the budget, then you can go the do-it-yourself way. Allow me to share a secret with you, if you soundproof floor, doors, windows etc on your own, then you can share the knowledge by means of Youtube, Blogs, and thus start a secondary source of income which will be completely passive. In today's world, more than a degree, it's the value of the skill set. If you don't agree with me, then let me know your view. I wholeheartedly welcome you to the world of do-it-yourself soundproofing floor. When it comes to soundproofing floor, there are loads and loads of options available in the market. Some are temporary and some are permanent. I will suggest you should go through the violation of your apartment lease agreement before you start the soundproofing project. The nature of this project can lead to some permanent modification in the interiors, and it's always good to be well prepared and well-informed to negate any ambiguous situation. It's better to have a rented house with some noise rather than becoming homeless overnight. I am saying this because I have seen some cases where the tenants lost the home as well as the money. Majority of the method needs the bare floor to work with. You can easily apply carpets, various pads on the floor to get work done. But, most of the rooms are carpeted especially in the United States, Canada, and the United Kingdom. In that case, you will have to put some extra effort because a little amount of more work will be involved. A variety of mats are available in the market that can be used for soundproofing purposes. I hope you must have an encounter with these soundproof carpets, maybe unknowingly. Try to remember the floors of your elementary classroom or your kid's nursery. Those colored elegant mats aren't the normal ones. Using the interlocking mat is easier than it sounds. You need to place the first piece of the interlocking mat in the corner, and then you need to start from there. Bonus Tip: Don't do the mistake of placing the first piece in the middle, and then start from there. It may sound you like connecting the Jigsaw puzzle, but it's the way it is. I started with this technique in the do-it-yourself section because it is the easiest of all, and suits those who don't want to put lots of time and efforts. It's more kind of performing a manual task. In the monetary sense, it's among the cheapest, and if you have a budget of $20 and above, you can imply this method. Don't believe me? Check the price of this interlocking mat here. 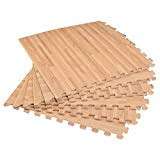 On the downside, these mats are good at dampening the noise rather than soundproofing floor, so it's advisable to use this method in combination of few others for the optimum result. Well, this is a tricky step, and if you don't place it correctly, the output may not be satisfactory. 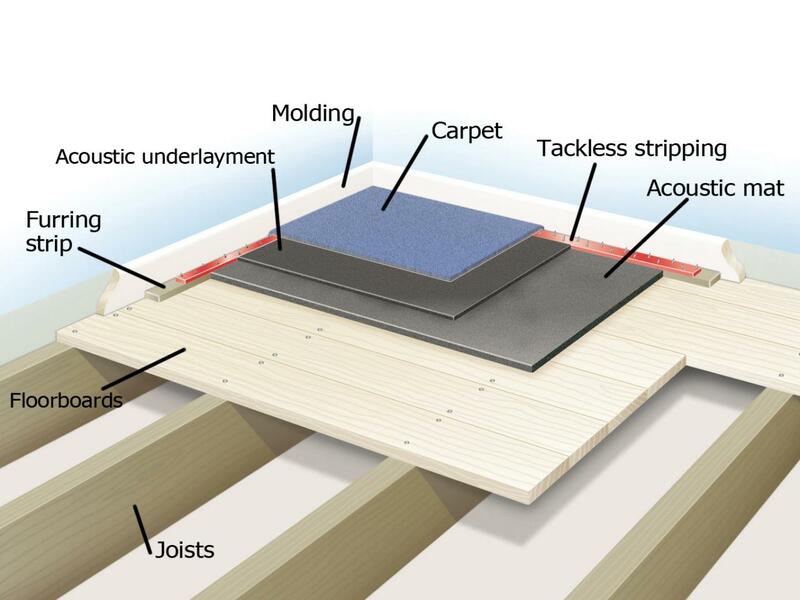 As the name suggests, an acoustic floor underlayment is a thin layer of insulation that is placed under the carpet, and you know what you guessed it right, it is placed to improve the insulation properties of the carpet. It acts as an additional sound-deadening layer. If we talk in terms of the final output, then applying it on the top of the bare hardwood or vinyl floor will give the best output. A lot of my clients asked for my recommendation. I will not deny the fact that there are a variety of products available in the market, and many of them don't match the expectation or the manufacturer's claims aren't even near the reality. But, at the same time, there are really few great products which perform extremely well and are budget-friendly also. My favorite is this product. The USP of this product is the 3mm thickness, giving it the best potential for absorbing sound. This underlayment is made with the vapor barrier. The soundproofing domain is very volatile, and every year some mind-boggling soundproofing products are launched in the market. You will be astonished to know that I have tried 7 variants of underlayment before I got my favorite one. So, keep in mind, product selection is directly proportional to the outcome of the project. A bad soundproofing product selection will completely ruin the entire project in spite of you, spending hundreds of dollars. I am saying this with my experience. Hope it helps you. Now, since you have bought the underlayment, the next question is, " How to apply it?". You need to unroll it on the floor and cover all the walls in a way as if you are covering the walls from the aluminum foil. For the best result, I will recommend you to secure the material to the edge of the floor using nails. Repeat the process, if required. Remember, to the cut the material off at the edge of the floor. Personally, I call carpet padding the first line of the barrier to the "noise". The thicker the paddings the better they will perform. Allow me to tell you about the experiments that I did with these carpets. I tried three different positions for these carpets to check which one is superlative. Case 1: Placed it above the traditional carpet for noise dampening. Case2: Placed it below the traditional carpet for noise cancellation. Case3: Placed it on the naked concrete floor to track the performance. Well, the padding carpet performed extremely well when placed below the traditional carpet. Let us know your feedback as well. Unlike the traditional carpet, where you have to simply roll the carpet on the floor until it meets the ends of the floor, and then cut it at the corners, and secure it with the nails, here the process is entirely different. First and foremost, the carpet padding is very thick and heavy so you will need some professional hands to help you. Secondly, you will need a few tools to get the installation process done. Like other soundproofing products, there are loads and loads of carpet padding available on the market, solely for the soundproofing purpose. Depending upon your budget and customer reviews, you can select one of your choices. I prefer to go with this RUG PAD. Being in this industry for quite a few time, I can assure you that this product will perform well on a variety of surfaces such as hardwood floors, stone floor, tiles floor, concrete floors, and vinyl floors. In short, it makes my work easier as a soundproof consultant. I don't have to dig deeper into the types of floors and other related parameters. Do I need to say the importance of Green Glue when it comes to soundproofing floors? If you are a regular reader of this blog, then you will agree with the aforementioned statement. Anyways, I will be explaining the importance of these soundproofing compounds in details for the benefit of regular readers as well as the new ones. The most important thing for any soundproofing solution is the match between the client expectation and the consultant delivery, or if you are the do-it-yourself, next-door guy, then you have to ask to yourself, "Am I satisfied with the solution?". In short, if you have performed all the aforementioned steps, and you are complacent with your own performance, then you can skip this step. This step is for those who don't get satisfied easily, be it anything. These compounds act as a catalyst and enhance the performance by providing an additional noise-canceling layer. These compounds are used as an insulating adhesive to secure underlayment and carpet padding against the hard floor. Since they come with soundproofing properties so you can expect improvement in performance and if your question is how much improvement? The answer is simpler than you think. It totally depends on the case to case basis. Needless to say, the amount of adhesive applied in the installation process is directly proportional to the performance. I recommend my clients to replace the nails with the green glue. The problem with the nail is that it becomes loose over a period of time leading to unwanted noise and vibrations. The more the number of nails used in the installation process the worst will be the experience when anyone will walk on the floor. It may NOT always be the case, but I am sharing what my clients have experienced. As mentioned earlier also, you can give Green Glue compound a try, it is not the cheapest in the town, but it is definitely the one that will serve your purpose. The company has tested green glue against multiple frequencies to assure its noise-cancellation power. I will recommend you to skip this section if you don't have the permission to modify the floor. If you are a tenant, then it's good to stay away from this step. However, if you are the owner of the apartment or your landlord has given you the permission to modify the floor for the betterment of soundproofing, then stay tuned we will share some secrets that will enhance the soundproofing experience multiple folds. Are you laughing at my self-proclaimed statement? For the base layer, you would need something along the line of hardwood or tiles to work with. For the top layer, I recommend you to use a thick carpet, but at the same time, it shouldn't be too spongy. The aforementioned layer of carpet plays a crucial role when it comes to soundproofing. A minimum threshold of thickness is required to absorb the sound. We will not talk about the design and style, because it is totally your choice. I hope that this article will add some value to you. If you are giving the soundproof flooring project to the consultant, then you just have to wait and see the magic happening. On the other hand, the do-it-yourself way is a kind of mini project for you. I will recommend you to NOT get stuck with the one method only. If your budget permits, then consider few methods simultaneously. Allow me to share with you a secret that may change your perception towards soundproofing floor. Well, my most successful soundproofing floor projects are those in which I have used all the three DIY methods together. Trust me, a combination of method works far better as compared to the single one. 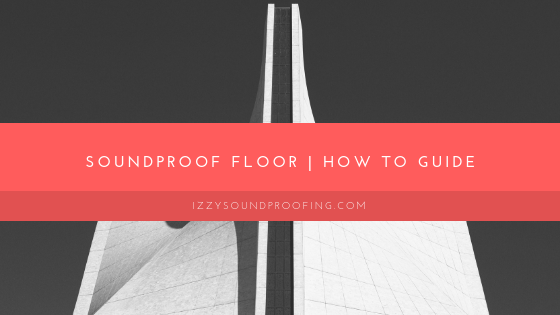 I have found a grey area when it comes to soundproofing floor. A lot of people are confused when it layering the floor. Don't worry, today we will clear this doubt. A good amount of unwanted noise can be reduced by negating the gap between the carpet and the wall. It is good to bring the underlayment to the wall. Even though you are confident that you can alone complete the DIY project still I will recommend you to take help of your friend. It is possible that during the course of the project you may lose the interest, so a friend can help you to get away from the boredom. You will realize the importance of soundproofing floors only after you have completed the project successfully. Well, success is a relative term and, even if you haven't succeeded in the project, remember, you have learned a lot, and the best part is that you are better prepared for the next DIY soundproofing project. With these words, I am signing off. Keep smiling and make this world a better place to live and let live others.